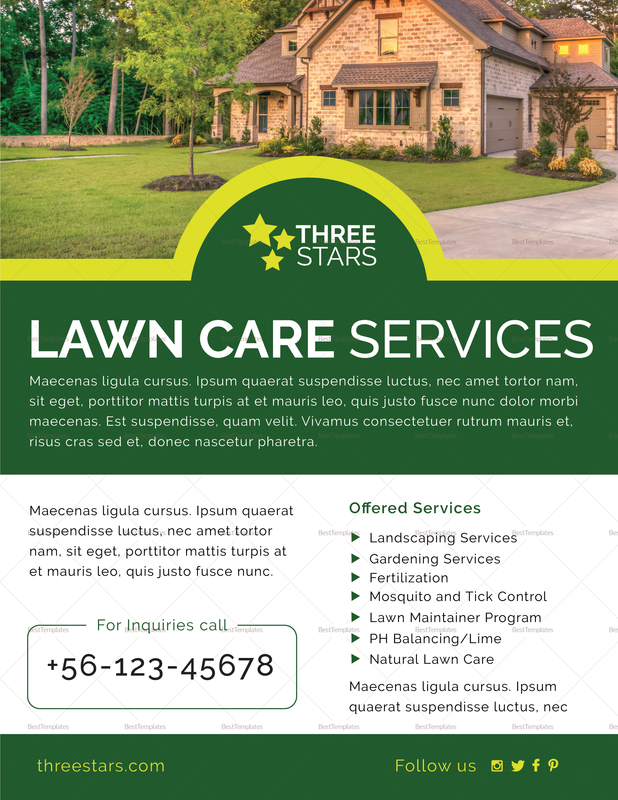 A green and professionally designed flyer template that is perfect for your lawn care business. 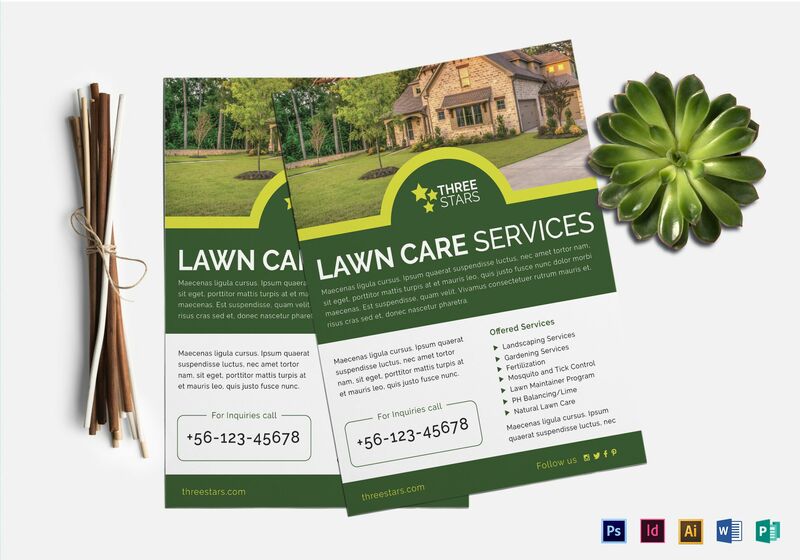 Download this at an affordable price and get to effectively promote your service. It uses high-quality layout, photos, and graphic files. 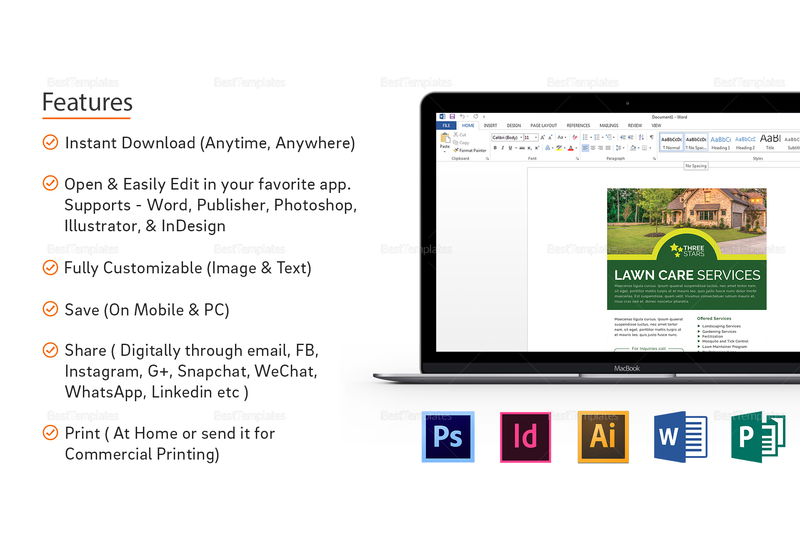 It is easy to edit and fully customizable in multiple formats. Save this on your mobile or PC.